By delay the enemy will relatively gain upon you – that is his will gain faster, by fortifications and reinforcements, than you can by reinforcements alone. And, once more let me tell you, it is indispensable to you that you strike a blow. I am powerless to help in this… The country will not fail to note – is now noting – that the present hesitation to move upon an intrenched enemy, is but the story of Manassas repeated. I beg to assure you that I have never written you, or spoken to you, in greater kindness of feeling than now, nor with a fuller purpose to sustain you, so far as in my most anxious judgment, I consistently can. But you must act. 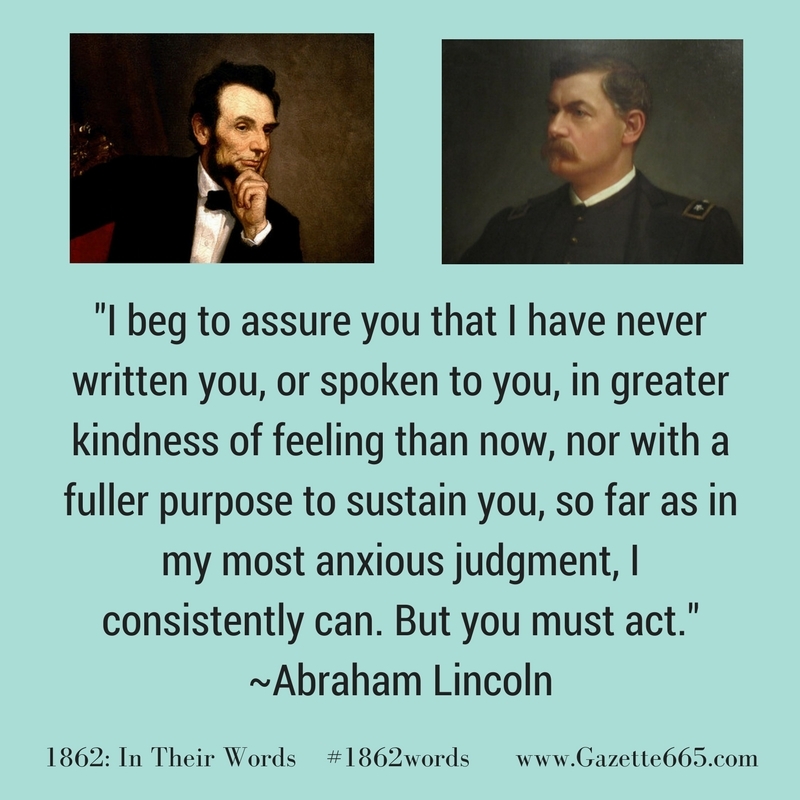 Abraham Lincoln to George B. McClellan, April 9, 1862. 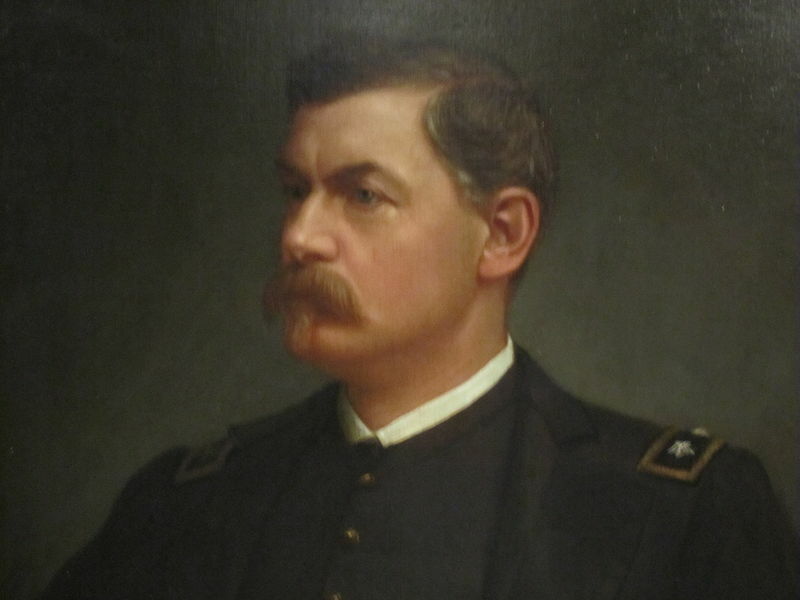 General George B. McClellan had the Army of the Potomac and was firmly convinced he didn’t have enough troops. After-all, he had only 121,500 men with him – not nearly enough for the conquest of Richmond. Right? McClellan’s obsession (or fear) that he lacked troops to ensure his own success bizarrely illustrates one of the general’s leadership flaws. Great organizer though he was, McClellan seemed quite hesitant to use his army for its purpose: fighting. While a general should consider the lives of his men, he must also be willing to win…and that can mean fighting…and death. That’s war – unfortunately. General McClellan worried and fretted about the “lack” of troops under his command, that – as Lincoln darkly “foretold” – the Confederates would have time to assemble a stronger force to meet him. Abe Lincoln had a problem. George McClellan wanted something – more troops. But Lincoln just didn’t have any more to send. Washington City – the Federal capital – had to be defended and the general’s requests for more troops stripped the city defenses. What if a Confederate force struck north? McClellan and the Army couldn’t get back fast enough. Additionally, there was another problem. (Pun intended!) McClellan’s numbers just didn’t add up… As Lincoln pointed out, where did 23,000 soldiers go? Did they all drown in the Potomac and not one newspaper printed the report? Or – was the general playing with the numbers to get what he wanted? Finally, the president struggled to communicate firmly and pacifyingly to his general. 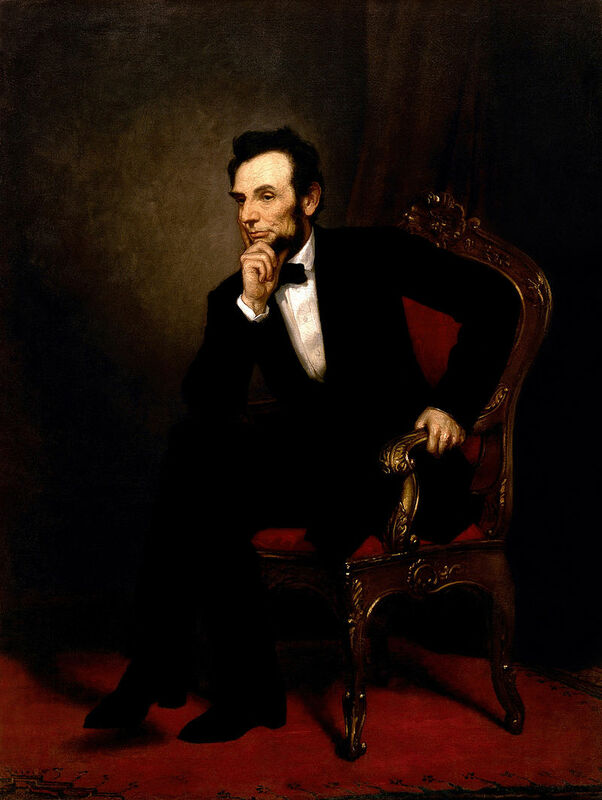 McClellan was temperamental, and Lincoln had undoubtedly learned that in the previous months of organizing and planning. He hastened to assure McClellan that “kind feelings” continued while simultaneously urging the commander to act quickly before the Confederates could react. Fortifications and reinforcements. Lincoln pointed out the obvious to a West Point graduate. (A bit of irony here.) If McClellan didn’t hurry up, advance, and fight, the Confederates would have time to build stronger fortifications to defend the peninsula and Richmond, their capital. Since the Union was on the offensive, they would only gain strength by numbers, not fortifications. 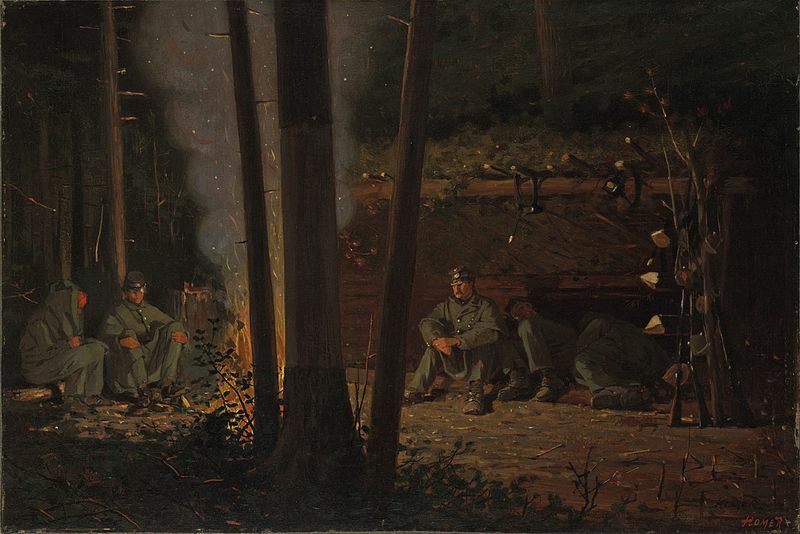 “In Front of Yorktown,” Winslow Homer shows Union soldiers waiting to be ordered on their next march. They would wait quite awhile before beginning their advance up the Virginia Peninsula. McClellan had a choice. Looking at the numbers, he remained convinced he didn’t have enough men to advance. In the coming weeks, evidence would reveal that he had more than enough, maybe even too many soldiers. P.S. The famous “what-if”…. What if George McClellan had raced up the Virginia Peninsula instead of dawdling and waiting for more troops?